In October 2017 MaxLove Project and our Partners in Hope, Open Mind Modalities, opened our collaborative “Thrive Space” in Orange, CA. It’s been amazing to see our dream of a more comprehensive space for supportive care and community come to life. Special thanks to our donors for making this possible! Licensed TCM practitioner, Maria, supports Blake and his mom with weekly acupuncture. Our Thrive Space is our home for our Ohana Project for Integrative Medicine as well as our community acupuncture days that we’re bringing to our MaxLove community in the spring of 2019. On “Ohana Fridays” the space is teeming with SuperKids, SuperSibs, Mommas and caregivers, all gathered in mutual support. The whole family received acupuncture, moxabustion, and other Traditional Chinese Medicine modalities while the kids engage in therapeutic arts and play. We even have an amazing therapy dog, Bobby, who joins the fun each week. During the course of an Ohana Project cohort, the space is also used for weekly yoga and health behavior eduction classes. The MLP Broth Bank collaboration with Electric City Butcher is housed in our Thrive Space. Our Broth Bank houses 100 quarts of broth for distribution to SuperFamilies each week. Clients of Open Mind Modalities and the general public can also purchase broth from us at full price which is $10/quart. Chef Michael and Angie, loading up our Broth Bank. MaxLove Mommas gathering in our Thrive Space. 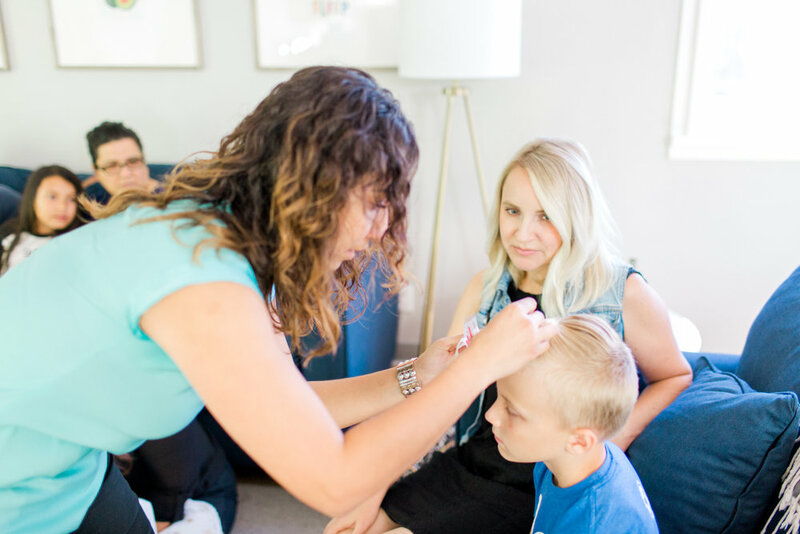 Our Thrive Space is also home to our many MaxLove community events such as our MaxLove Mommas and Forever Mommas gatherings and, soon, also to Fierce Foods Academy mini cooking classes and group therapy sessions.